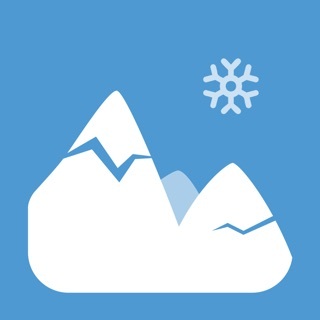 "The CheckYeti App is one of the best free ski apps available. 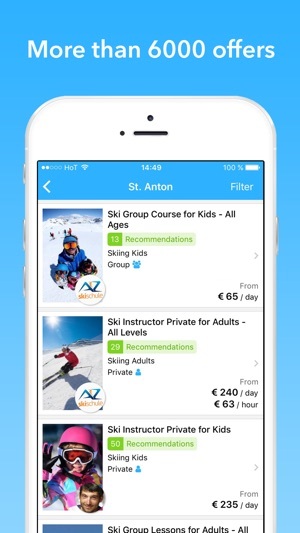 It has never been easier to book your ski school or ski course on your smartphone." "Really easy to use and everything went very smoothly. Will definitely use it again!" 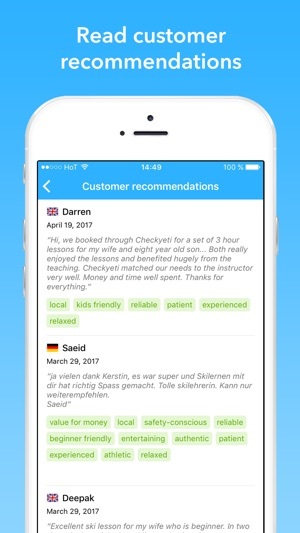 CheckYeti offers thousands of ski lessons and covers a large number of ski resorts in Austria, Germany, Switzerland, France, Italy, Spain, Slovenia, Poland and Czech Republic. 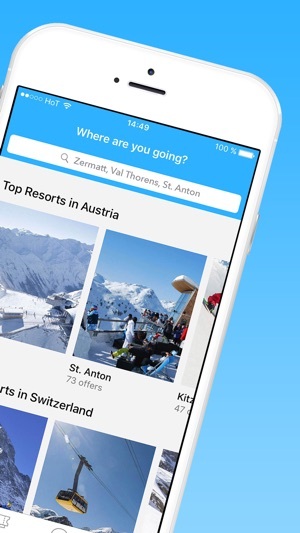 CheckYeti is therefore the leading app to search, compare and book winter sports activities such as ski lessons, snowboard courses and freeride tours. The app enables you to choose between group courses and private lessons as well as the level that best suits your needs. 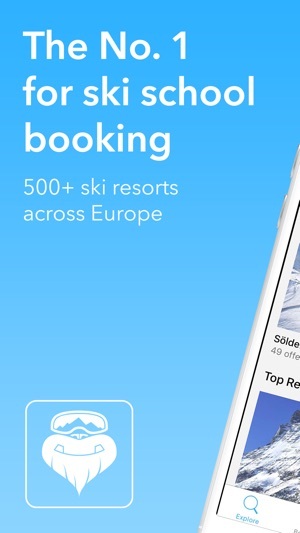 Featuring certified ski schools, ski instructors and guides, CheckYeti enables holidaymakers and mountain enthusiasts to book their winter sports activity on their mobile phone. Read trustworthy recommendations left by previous customers and take advantage of their advice. Enjoy the app and have fun on the slopes! Definitiv zu empfehlen! Übersichtliche App und hilfsbereiter Support. 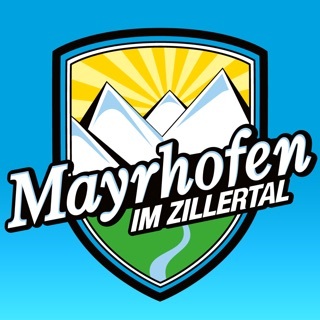 Haben sich viel Zeit genommen, um mir bei meiner Buchung für einen Privatlehrer in Lech zu helfen.